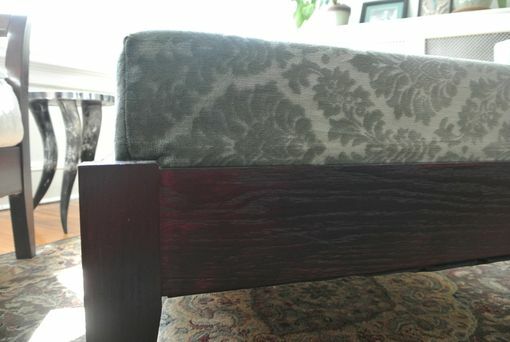 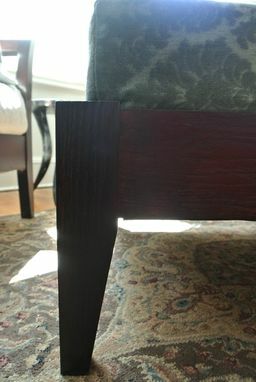 This custom designed Oak ottoman was personalized for a client's existing decor. 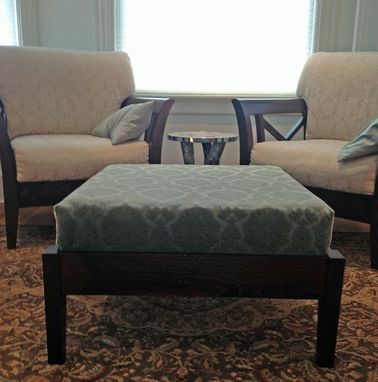 In order to complement the existing sitting room chairs, I gave the ottoman a tapered leg design and finish, and upholstered it in a matching pattern and color coordinating with the chairs' accent pillows. With a 5 inch high-density foam to ensure comfort and longevity, this new addition perfectly brings together the whole seating area.